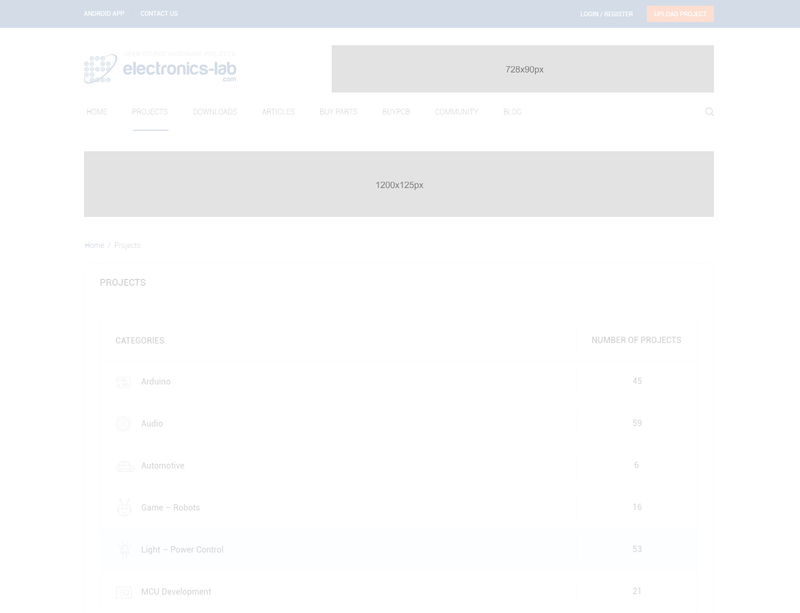 Electronics-Lab.com attracts a large number of electronic enthusiasts from around the globe, both hobbyist and professionals and it’s the ideal place to promote your business and/or product to that specific audience. With an average of 230.000 monthly visits and 1.000.000 page impressions your product or service will be exposed to thousands of people each month and help you grow your business using our attractive pricing model. Our visitors mainly come from United States, India, Germany, France, Poland, UK, Russia and many other places around world and an average visitor navigates to 4.26 pages, spending 2.08 minutes on the website. 89.3% of our visitors are men interested in Technology and Electronics and 50% of them fall in the 18-34 age range. Bounce rate is only 3.66% and statistics are still growing. If you need to know more detailed statistics about electronics-lab.com feel free to contact us. We are always open to discuss custom ad placements that will meet your expectations. All our advertising packages are flat rate and paid on a monthly basis. To check our attractive rates just contact us or fill the form below.